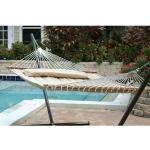 Made in Brazil from 85% recycled cotton/15% polyester , this hammock will stretch and conform for exquisite comfort. 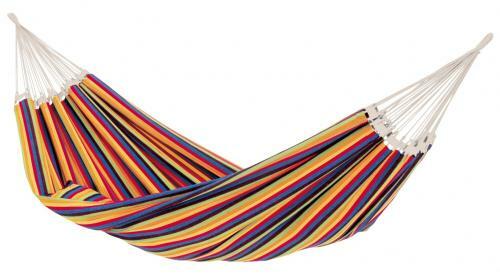 Larger than the Barbados Single, the Paradiso is the crown jewel in the Amazonas hammock line. At over 8 feet long and 5 and a half feet wide, the Paradiso has room for the whole family, and maybe the dog as well. The rich, warm, hand-crafted colors will provide you and your family with endless days of fun, and relaxation.